Back in its day, this was considered as a serious front runner for the rally genre, alongside Colin Mcrae Rally and I liked it a lot. Playing it now however leads to me finding an apparent lack of speed and the car handling being rather silky. Still, it is still amusing taking a wrong turn and falling down a steep cliff. 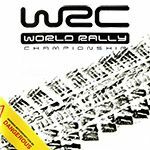 The WRC series is still continually evolving, and to this day it is hard to really decide whether this or Colin Mcrae is the leading champion of rally games.